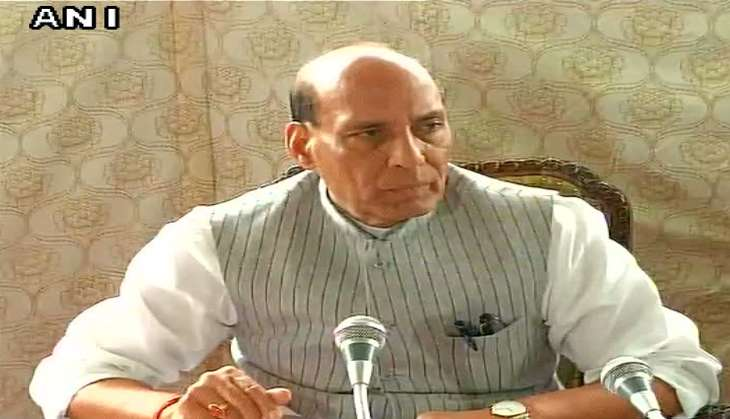 Union Home Minister Rajnath Singh on 2 October called on Islamabad to simply wait and watch for New Delhi's next move. While speaking on the sidelines of a Swachh Bharat event on the occasion of Mahatma Gandhi's birth anniversary in New Delhi, the Home Minster asserted that the world has seen and acknowledged the valour of the Indian Army after it targeted terror launch pads in Pakistan occupied Kashmir (PoK) in a surgical strike. "Not just the nation, but the entire world has seen and acknowledged the example of courage and valour shown by our brave soldiers which has made India proud," Rajnath said. When asked to react on Pakistan's claims that India has no proof of the existence of the surgical strike, Rajnath said "bas dekhte jaiye (just wait and watch)". The Pakistan army has dismissed claims that India's military conducted "surgical strikes" against "terrorist units" on its side of the border in Kashmir region. Pakistan rejected the claims as an "illusion" but acknowledged the loss of two of its soldiers in the exchange of fire that also wounded nine others on Thursday. Singh also affirmed that all efforts were being made to release the Indian soldi er in Pakistan's captivity.